LDS Charities serves as the humanitarian branch of The Church of Jesus Christ of Latter-day Saints (LDS Church). Early on, LDS Charities elected to operate primarily through partnerships and funding humanitarian partners. LDS Charities follows an inclusive approach, providing aid and fostering partnerships regardless of ethnicity, sexual orientation, belief or non-belief. They partner with organizations of every size and interest, ranging from large NGOs to local non-profit organizations. Bruce Muir recently retired as Director of Emergency Response with LDS Charities after 34 years of service. We had the opportunity to speak with him about his humanitarian service across his career. He shared his perspective, experience, and humanitarian legacy with us. 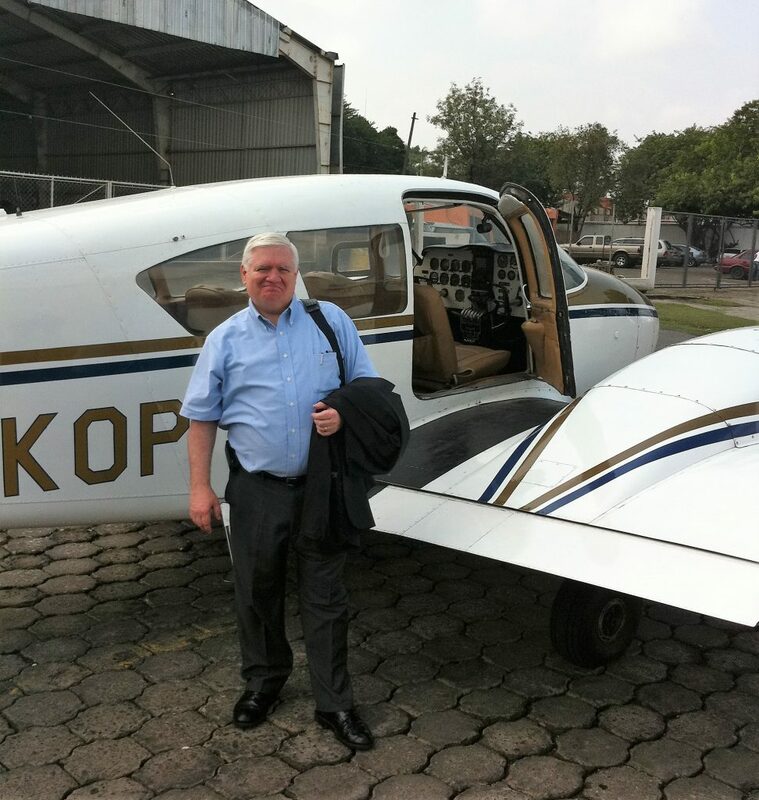 Mr. Muir’s experience has been integral in shaping the way LDS Charities manages humanitarian emergency situations. 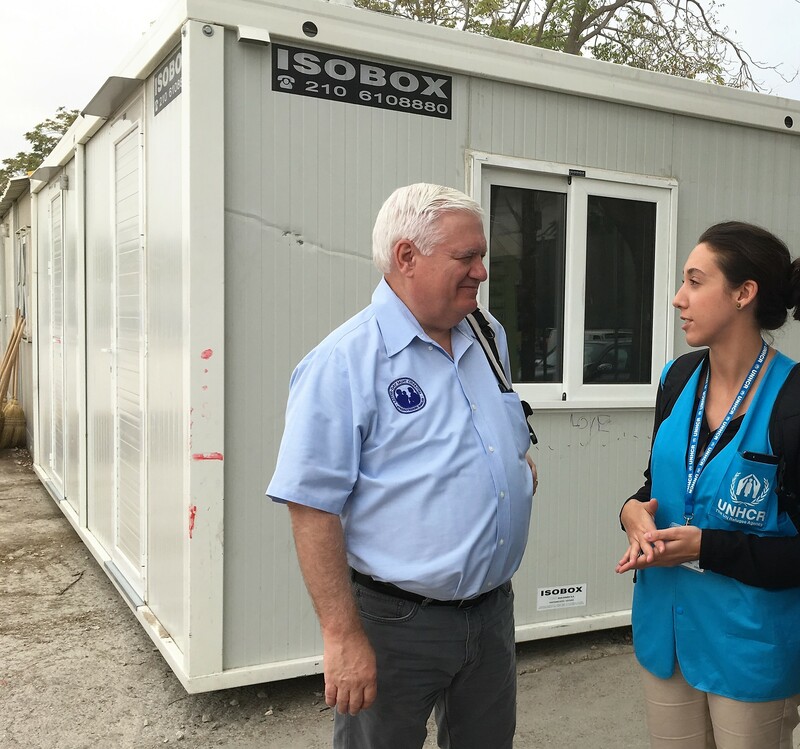 He has guided numerous initiatives and projects in emergency response–from focusing on natural disasters to current refugee crises. You’ve served a long career in humanitarianism. What were the experiences that defined your path toward a career in humanitarian relief? I’ve always been somewhat involved in welfare work. When I was a young boy, my family regularly volunteered our time on welfare farm. The Church had the welfare farms to produce food and other things for the poor and the needy. I saw poverty, real poverty, for the first time when I was a young missionary at 20 years of age. I went to Brazil for two years–it was religious in nature, but I did see up close people that were impoverished and really needy. I had never seen that before in my life. Growing up in the US, who you consider poor is not poor by world standards. We tend to be a lot better off in this country. I think the next meaningful experience for me was when I was transferred to the Philippines. I was a director for temporal affairs, which basically means I was a business manager for that country plus Micronesia. When it came to the welfare work, a couple of the projects were very meaningful to me. One was helping those who had been living on the periphery of Smokey Mountain, which was the landfill for Manila. I think there were at least 25,000 picking through garbage and trying to sell it to survive. I was able to partner with Catholic priests and other organizations in humanitarian work focused on self-reliance for those people. In comparison to all the other things I was doing, that was definitely the most important to me. It gets into your heart, that kind of work. I think the Philippines is the most disaster-prone country in the world. We were dealing with 20 to 25 typhoons a year, Mount Pinatubo, flooding and earthquakes. There was much work to be done to help people during the natural disasters. There were a lot of things that the local Chilean staff did very well. Our local members were phenomenal in the levels of help they provided. We purchased every bolt of cloth that we could find in the entire city of Santiago. 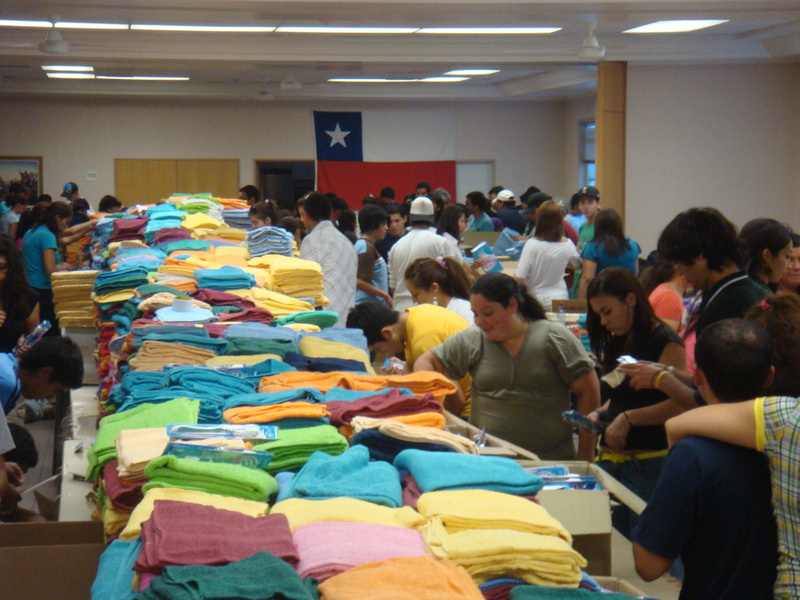 We gave the cloth to our women’s organization throughout the city, and they produced thousands of blankets. We were then able to deliver them to some of the more devastated places in the Concepcion and surrounding areas. A team of counselors provided psychosocial care to adults, adolescents and children in the affected area. 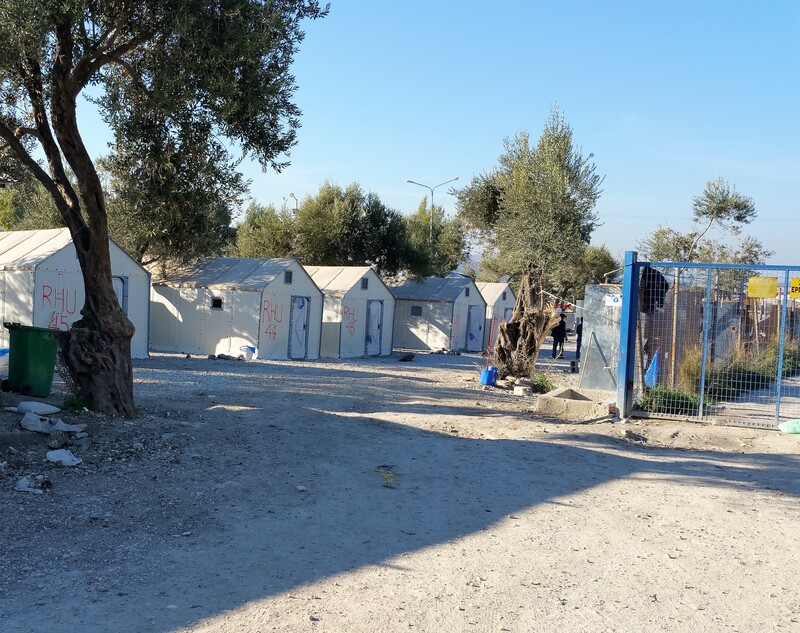 We received support from our international purchasers to procure tents out of India and China to fulfill a request from the Chilean government. Ten thousand tents were provided to the government before the winter weather set in. This was a feat coming on the heels of the Haiti earthquake and drying up tent inventories. I’ve had many small stepping stones along the way. When I got back to the United States, I was asked to be a welfare field director. The Church divides the US and Canada into ten geographic areas. I was given welfare support responsibility for six of those areas, including response to disasters and support in the care of people who were poor and needy. I was then asked to become Director of Emergency Response. At the time, it was almost exclusively natural disasters. In the last five years, LDS Charities dramatically increased its support for refugees, both domestically and internationally. You went through a culmination of experiences that guided your career. How did you feel about making the full transition into humanitarian work? I was in the Philippines for five years, and my very next assignment was completely out of my normal wheelhouse–that was to direct translation for the Church. I worked in translation for about eight years which turned out to be fascinating. I was privileged to work with some of the brightest and most talented people I’ve ever known. One of the benefits of working with translation was the opportunity to travel to many places in the world. It helped me more than any other job in gaining a real sense of geography and culture, whether it was Africa, Asia, South America, etc. That was a very interesting assignment that was followed by assignments in Brazil and Chile. What’s interesting is how every little piece, even though they seem to be completely unrelated to my normal career path seemed to add an enhancing experience dimension that helped me in later humanitarian assignments. I think all of these experiences helped to prepare me to work in disaster response, both of the natural and man-made varieties. You led many initiatives and projects during your tenure as Director of Humanitarian Emergency Response for LDS Charities. What were some of the initiatives or projects that stand out in your memory? I think the most important initiative I was involved with was in creating deeper relationships with partners. It included deepening relationships with old partners and creating new ones. This was very meaningful to me personally. If I added anything of value along the way, I believe the relationship work would be the essential piece. 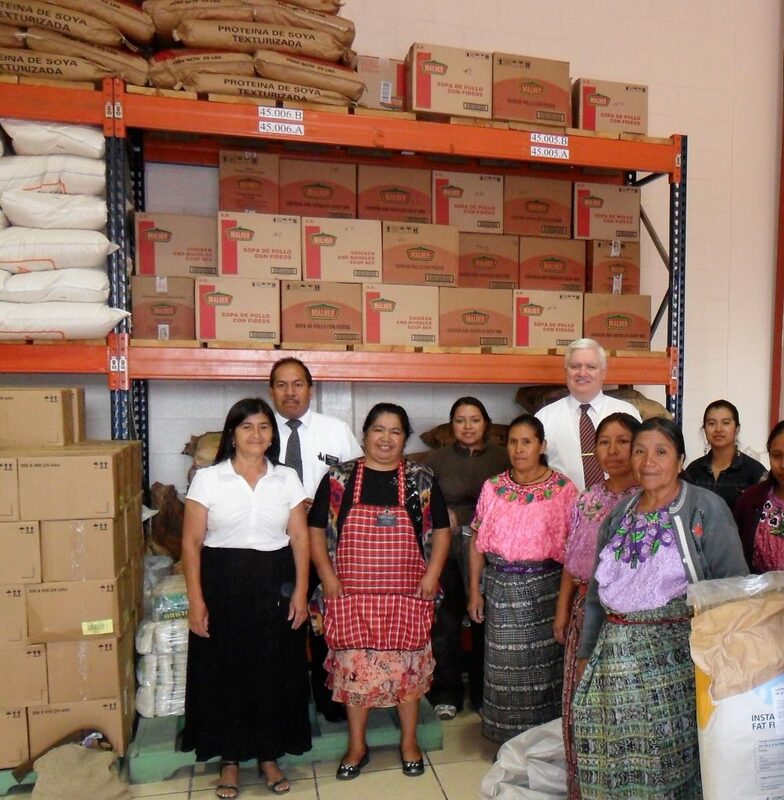 Many of the LDS Charities projects are in collaboration with partner organizations. By gaining understanding of the various partner’s interests and objectives and sharing those of LDS Charities, great projects emerge and are fulfilled to the benefit of people who are in terrible circumstances and are unable to help themselves. The working relationships I’ve had with individuals from the various humanitarian organizations have built friendship and allowed for working through concerns and obstacles. As a result, millions have benefited from humanitarian supplies and services. An event that was personally significant to me occurred at the end of 2015. I was assigned to Europe for two and a half months with my wife to assist in the development of an LDS Charities strategy to support the hundreds of thousands of refugees flowing into Europe. I don’t think anybody was used to having those levels of refugees in Europe and governments and NGOs were scrambling to provide support. At first, it was all emergency: food, water, clothing, bedding, kitchenware, medicine, hygiene kits and psychosocial care. People were on the move. They were mostly staging in Turkey and sailing in inadequate rubber rafts across the Aegean Sea to the Greek Islands. They would find transit to the Greek mainland and walk or find other conveyance across Greece to the Republic of Macedonia, Serbia, Croatia, and into the countries of Northern Europe. Some even went all the way up to Russia and came down through Scandinavia. Every humanitarian organization was working hard to set up the services required to support a huge mass of people who were on the move. It was an amazing phenomenon to witness. Typhoon Haiyan hit the Leyte and Samar provinces of the Philippines at the end of 2013. That storm was considered the largest natural disaster ever with sustained winds of 195 miles per hour. It killed thousands of people. We were fortunate to have a strong staff who had prepared to respond quickly. Local staff workers were dispatched with motorcycles or vans, chainsaws and other supplies. Over a million coconut palms had been knocked down. The workers were literally cutting their way into the affected areas to check on needs. Communication systems, water purification systems, food and medical supplies and medical staff soon followed. We worked closely with local partners including the Philippine Navy, through the crucial first weeks to ensure that lives were saved. A rebuilding phase began next with the construction of 3,210 small homes. Added to the construction phase was a trade skill teaching objective in collaboration with TESDA, sponsored by the Philippines government. Twenty master carpenters were hired to teach carpentry skills to 600 local residents who had lost homes and livelihoods. Work teams were formed and homes were built allowing for new skills to be learned and hope to be injected into communities that had suffered economic devastation in the storm. After building ten houses, participants received from TESDA a certificate of carpentry skills mastery leading to self-reliance. Many of these individuals were able to receive jobs in the continuing clean-up efforts. 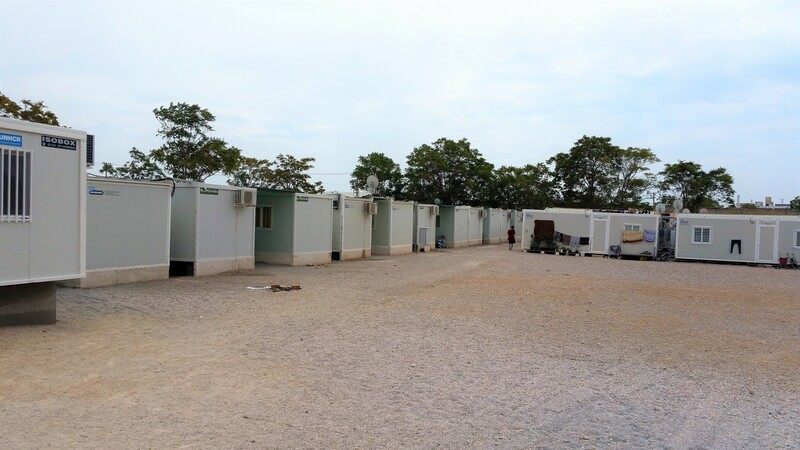 Another significant project was the response to the Ebola crisis in Sierra Leone and Liberia. LDS Charities provided significant supplies, equipment, and through local members, social mobilization for training and medical treatment. We weren’t putting on the hazmat suits and providing care at that level, but provided a good level of basic emergency and medical supplies. In 2017, LDS Charities worked on significant projects in support of severe famine conditions in several countries in Africa. A support level of about eleven million dollars was approved to help a dozen partners in Somalia, South Sudan, Nigeria and Yemen. Severe drought coupled with civil conflict created the underlying conditions leading to famine. It seems that there is a natural disaster occurring daily somewhere in the world. Local LDS Church leadership assists to determine needs. Disaster responses have been numerous and include over the past several years fires in the Western US and Canada, Portugal and Australia. In 2017, LDS Charities responded to two earthquakes and multiple hurricanes in Mexico. A significant response was provided to support victims of Hurricanes Harvey, Irma and Maria that affected Texas, Florida, Puerto Rico and other Caribbean Islands. We contributed incredibly to efforts for the hurricanes that hit Texas and Florida. Support has been provided over the past years in the Pacific where Vanuatu, Tonga, Fiji, and Micronesia have suffered strong typhoons. I retired at the end of 2017. The last large project emphasis for the year was to help the Rohingya in Bangladesh. Over 600,000 Rohingya were forced out of Myanmar into a challenging location in Bangladesh. Significant funds were provided to several partners to provide life-supporting humanitarian aid to these refugees. The location is one that is expected to have landslides during monsoon season. The Rohingya are in a difficult situation of being stateless and not welcome anywhere. Those are some of the big initiatives and there’s many more that I can talk about. It’s been busy, it’s been good. I have thoroughly enjoyed it over the years, it’s great to have a role in helping people. I have a passion for it. LDS Charities serves a wide variety of people across vast geographic regions, you serve the entire planet. Partnerships are central to making this possible. How does LDS Charities select partners? We have worked to have a stronger relationship with the U.N. organizations. We researched many organizations and invited them to visit LDS Charities in Salt Lake City and we visited their organization headquarters and their projects in the field. Some organizations were approached because of size and reputation, while others were “discovered” as filling a specific niche. Some organizations are huge while others are relatively small. LDS Charities seeks common cause with excellent organizations that share goals and are efficient in their project operations. Vigilance is given to understanding project administrative levels and ensuring that funds are going to needy recipients rather than a back office. Relationships develop over time in terms of knowing each other and trust in the field operations. Projects get bigger and more complex as comfort levels increase and projects are seen to be successful over time. Communication frequency increases as the relationships solidify. It is important to be able to openly discuss needs and objectives and be able to voice concerns. LDS Charities regularly asks the question, “are we the boots on the ground?” So far, the choice has been to choose excellent partners and help fund projects of mutual interest. LDS Charities makes a point of selecting partners regardless of affiliation. Why is affiliation not part of the criteria? We get our passion, our mission, and our mandate from Jesus Christ to help others. Though the LDS Church has a strong proselyting presence in the world, we do not proselyte as part of our humanitarian outreach. We believe that all men and women should be allowed to worship as they desire, or to not worship at all, if that is their desire. We feel that we should be able to work with partners and help people, regardless of religious affiliation. I’ve seen it in action, and it is incredibly doable. It’s just loving and understanding more and disagreeing and hating less. In a crisis situation, it can be challenging to assess needs beyond the obvious life-sustaining aid that is required at hand. What are some important areas of managing humanitarian emergencies that can get overlooked? There are a few things you need to pay attention to, such as psychosocial care. 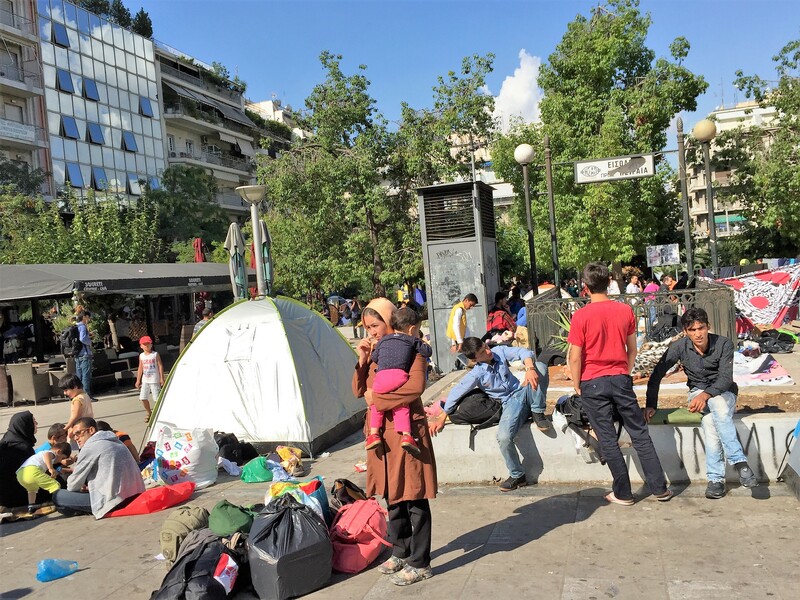 In Europe, most of the refugees that came through had undergone tremendous trauma. I guess it continues even now with the trickle of refugees that still make the trip. They’ve seen death– sometimes up close, sometimes their own family members. Many of them are victims of torture and abuse, or extortion. They were afraid, and they were stressed; they’re carrying all of this and they’re on the move. Somewhere along the way, each individual has undergone some type of trauma and could benefit from counseling. They need to be able to talk and be listened to by professionals who are trained to help. Psychosocial care is not just for refugees. If somebody has lost their home in a flood, a fire, an earthquake, a hurricane, it’s almost like a death in the family. They’ve just lost everything that they own. It’s very traumatic, and sometimes the feelings of loss continue for weeks or months. We have an organization called LDS Family Services, where we have many employees: professional psychologists, psychiatrists, social workers who help with these needs. I remember during the earthquake in Ecuador, we sent ten men and women from headquarters to help with psychosocial care. They joined up with another group in Ecuador and helped many people who had lost their homes and some had lost family members. Another thing that gets forgotten is family and community cohesion. Let me explain that further. After a disaster, when a father goes from having a solid job to standing in line with a tin plate and a cup he loses all sense of self-reliance. He loses control over most aspects of his life. What does this do to that man? There’s despair, there’s depression, there’s anger. He may lash out and abuse family members or other persons. He may develop suicidal thoughts. In some situations, rival factions or communities may be placed together in refugee camps: they could see each other as enemies coming from different religions, or cultures. It would be important to bring those with community skills to help build cohesion so that individuals can see beyond historic biases and learn to live close to each other and work together as a community. I always like to remember the children. In the process of gathering food boxes, hygiene kits, kitchen kits, bedding, tents, and all the stuff that goes with emergency response; I like to throw in some toys for the children. They are also going through stressful times, and sometimes they end up on the sideline going through their own stresses. I think that’s forgotten at times. I think schooling comes in after everyone else is taken care of–food is coming, medical has been taken care of, the basics are met. Schooling needs to get handled. There are whole generations in prolonged refugee crises. I had a really interesting experience just this past October going down to Greece and visiting a UNICEF school. 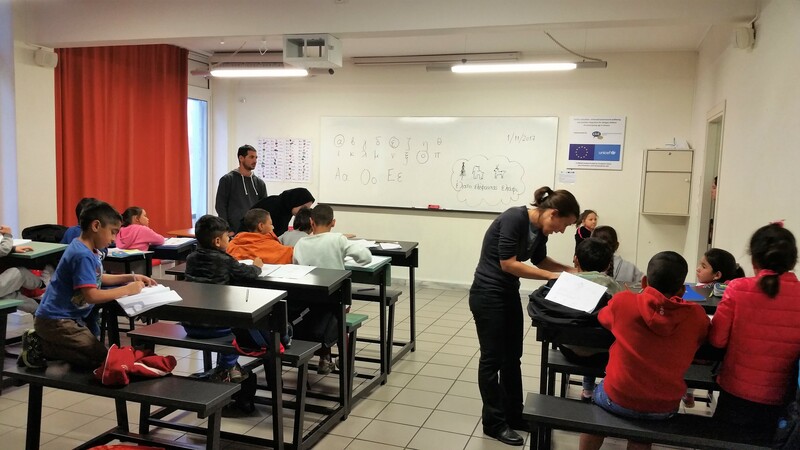 I thought it was so interesting to see a class in Greece, being taught in English, to kids of all ages from different countries. The school was teaching using the English language in order to teach Greek. The kids had spent enough time in the camps to learn the basics of English. They could communicate enough in English to be able to learn Greek. I just stood back in amazement. Children are like little sponges, and you can’t forget them. Another concept that requires some wisdom is that the emergency situation is temporary. I’ve observed often enough, that in being efficient in feeding, washing clothes and other services, paid workers do much of the work. There’s really nothing for the people to do. I think it makes them depressed. It doesn’t seem to add to their dignity to take basic chores away. I’ve felt that people in disaster and refugee situations need tasks to do. It adds dignity. They will go back to a normal life at some point. Information services are essential for people to be able to understand what their situation is. I’ve been in camps where they didn’t know. I’ve seen anger. I’ve seen people act out in different ways. At a camp in Greece three years ago, just 30 to 40 feet from us, three fistfights broke out where there were multiple people fighting. I think they were in despair. They were stuck and were losing hope. What do you predict looking to the future of emergency humanitarian management? How can we reduce the prevalence of crisis events? I think you’ll see continued engagements and collaborations with the UN or national governments with faith-based, and non-faith-based NGOs. I think the levels of collaboration and the levels of organization have gotten much better, and I’ve been quite impressed with that. Governments and NGOs seems to collaborate well during times of natural disaster. The challenge comes in getting wars stopped. Wars are being prolonged causing delays in refugees returning to their homelands. That remains the challenge we have, and I think everybody associated with the humanitarian world probably has the same hope that it is going to get better. The world lacks a peace process. As populations increase and become denser, it seems that natural disasters cause more damage. Couple that with prolonged civil conflict and the demand on humanitarian resources soars. Donor fatigue will likely require organizations at all levels to learn to do more with less. In general, do you see there being less stigma and more widespread acceptance of faith-based humanitarian organizations? I have personally felt when working with UN-based organizations or other global NGOs, that they have treated us very well. 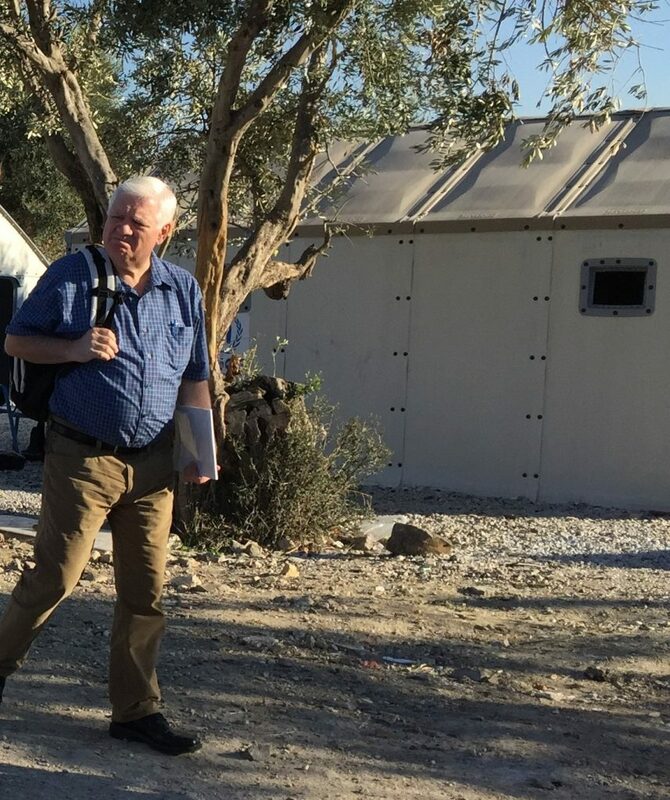 Within the LDS faith, we have a strong proselytizing culture–but, when it comes to humanitarian work we recognize that’s not the place to proselytize. Faith-based organizations should understand there’s a place for everything. Part of it is gaining a level of trust. Wars are being prolonged without any mechanism to stop the bloodshed and effects on the people and economy. I think the knowledge of how to bring communities and nations out of poverty exists. The barriers to making it happen are difficult to overcome: corruption, discrimination, hate, etc. People need enough food, and then progress beyond that. Do the world institutions know how to do that? I think so, yes. Can we get governments and those institutions working together to bless people’s lives? That’s the concern, that’s what needs to happen. I think that humanitarian organizations have learned to mobilize very well. That includes: moving people, supply chain, distribution, services, working within communities, with individuals and families. I have seen some very good things happen, and I think they will continue to get better at it. What gives me hope is that there are a lot of good people out there. I’ve met a lot of them, and it’s been wonderful. That has been a rich experience for me throughout my career. Bruce Muir recently retired as director of the Emergency Response Division in the Welfare Services Department of the Church of Jesus Christ of Latter-day Saints. His duties included supporting emergency response to natural disasters and refugee crises globally. 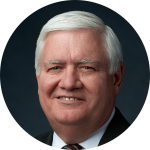 Bruce has also held numerous positions in the Church including director for temporal affairs in the Philippines and Chile Areas, and the managing director of the Translation Department. He previously served as the president of the Brazil Maceió Mission, bishop, high counselor, and as a young missionary in the Brazil Sao Paulo South Mission. He received his B.A. in Finance from Utah State University and his International MBA from Thunderbird in Glendale, Arizona. He and his wife, Mary, are the parents of three children and grandparents of nine. No Replies to "Honoring Humanity Through a Lifetime of Humanitarian Service"